Jose Mourinho is happy to let Spanish star David de Gea leave this summer, as per reports. The Red Devils managed to keep the 26-year-old at the club despite Real Madrid circling around him constantly a couple of summers ago. However, the Spanish outfit are now desperate for a shot-stopper, and Zinedine Zidane is convinced that De Gea is the solution to the problems at the Bernabeu. He is looking at possible options in the summer, but De Gea is certainly at the top of the wish-list. Having won a place in the PFA team of the year for this season, De Gea has been in terrific form for Manchester United, and has helped them establish the second-best defence in the top-flight, even with a host of the defenders taking up the back-line duties. 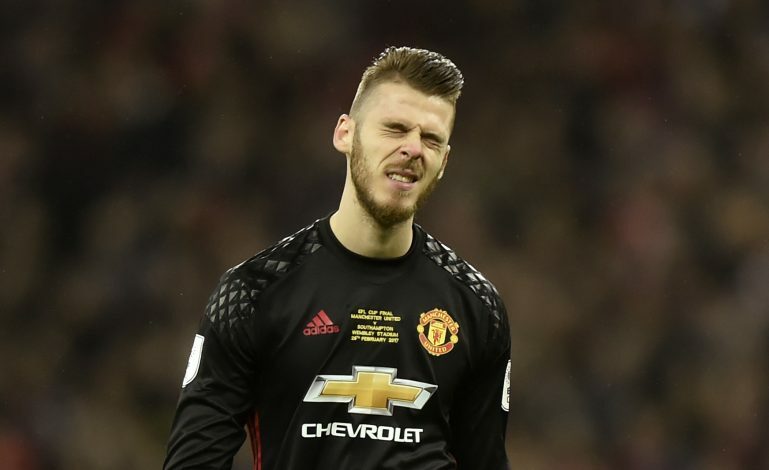 De Gea has also been United’s best player in the last couple of seasons, but it is now understood that Mourinho will not stop him quitting the club this summer. Real Madrid, as already mentioned, are growing desperate, and will be ready to spend any amount of money on the former Atletico Madrid man, and reports from Marca today suggest that Mourinho has told the 26-year-old that he is free to make a switch back to his home country. However, it is reported that United will not let him leave for anything less than his value of €60m (£51m). It will not be easy for Jose Mourinho to replace the quality of the Spanish shot-stopper at the back for Manchester United, and with not many options in the transfer market up for grabs, it could be a long summer for the fans at Old Trafford.